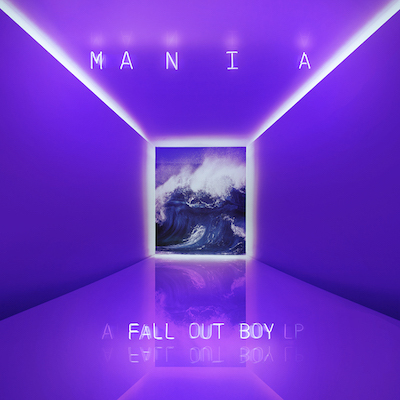 Watch: Fall Out Boy feat. Demi Lovato - 'Irresistible' Doug The Pug video. Doug The Pug stars in a music video for a new version of Fall Out Boy’s single, 'Irresistible', that features guest-vocals from Demi Lovato. "whenever i think of a journey i think in the terms of the original star wars trilogy- the middle is always the most exciting, the most strange, the least forgiving- the most dark yet the offers the most possibility of hope. i think thats where we are... "irresistible" always felt like it could become something else, something exciting, strange, beyond. i think demi lovato has one of the most powerful voices today. so we worked through an afternoon and she just got it. excited for you guys to hear this new version of the song on friday." MusicFall Out Boy - 'Wilson (Expensive Mistakes)' music video. MusicLady Gaga's dog has landed a 'Coach' campaign! MusicDemi Lovato features on The Vamps' new single, 'Somebody To You'. MusicWatch: Demi Lovato covering Adele's 'Hello'. MusicDemi Lovato - 'Neon Lights' music video. MusicFall Out Boy - 'Irresistible' music video. MusicFall Out Boy - 'Young Volcanoes' music video. MusicDemi Lovato - listen to new song, 'Let Me Go'. MusicFall Out Boy feat. Demi Lovato - 'Irresistible' music video. FilmWin: a double-pass to an advance screening of 'Secret Life Of Pets'.